LOS ANGELES, Calif. /California Newswire/ — California Safe Schools (CSS) today announces it is one of 10 recipients for 2014 of Neotrope's annual J.L. Simmons Non-Profit PR Grant award. With this commitment, Neotrope(R) will provide public relations and cause-marketing support to CSS over the next year to raise awareness around its programs and accomplishments. California Safe Schools is a nationally – and internationally – celebrated child's environmental health and environmental justice coalition. As part of this in-kind grant program, Neotrope(R) is providing PR solutions, news dissemination (through its Send2Press(R) Newswire service), and social media marketing for California Safe Schools. This cause-related marketing program is intended to help raise awareness of the 501(c)3 non-profit to traditional media, to the public, as well as to potential sponsors and donors, regarding their efforts. "We're honored to be providing assistance to such a worthy cause as California Safe Schools," said Neotrope CEO, Christopher Laird Simmons; a member of PRSA and ASCAP. "We were impressed by their goals of keeping kids safe through education and policy making efforts." "For more than sixteen years, California Safe Schools has led groundbreaking efforts to ensure that school children and the public have a right not to be poisoned, a right to learn, work and live in a healthful environment. When we work together great things can and do happen," added Suwol. CSS has worked extensively on local and national School Siting Guidelines and under Robina Suwol's leadership, has facilitated changes at the policy level as well as at the grassroots which creates a lasting institutional protection. 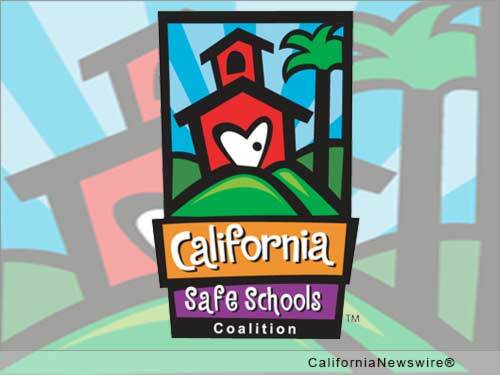 For more information on the California Safe Schools visit their website at http://www.calisafe.org/ . To follow on Facebook, visit: https://www.facebook.com/pages/California-Safe-Schools/160930077251044 . Since 1983 Neotrope(R) has delivered services to raise organization awareness including brand identity, marketing, public relations (PR), and SEO services. Neotrope is also an entertainment publishing company involved in books, music, software, and online magazines. The company pioneered the concept of search optimization of press release content back in 1997 and has been at the forefront of many communication and technology movements for three decades. Neotrope was an Inc. 5000 company in 2009, is a member of GS1, and has an A+ rating with the BBB. More information: http://www.Neotrope.com/ .